rockford christian school | Apple pie, anyone? I have always been a letter-writer. It’s how I process. While I realize this letter is directed at a specific person in our lives, I think it’s important for me to say things publicly… both easy and hard. It is an act of accountability on my part, not an attempt to teach parenting or relationship etiquette or special-needs love. For me, it’s just talking, out loud. Parenting, out loud. Living, out loud. Without writing, out loud, I tend to hide. Welcome to Team Rylie! I know you have 20 other hearts to teach and love and guide this year, but there is one that is most special to me. I thought some extra insight in Ry’s life might help you understand the importance of what you do every day for our family. You are my eyes, my ears, hands, feet, and heart at school. Don’t ever hesitate to tell me anything. Every tiny piece of information you give me helps color in a blank picture of life for Rylie outside this farm. Keep some secrets for yourself… some private jokes between you and my girl. I won’t be jealous of that bond. I want Ry to meet and know women who are trustworthy, funny, smart, and kind. I have tried for almost 8 years to open the gates to her village. Just know that anything you share is gold to me. While I’m writing this, Rylie is in her room. She’s crying. This is actually really normal for us… which doesn’t make it awesome… just normal. She’s not mad. She’s just exhausted. All fifty pounds of her has given everything it has to walk, talk, and learn in the last eight hours in 2nd grade, and there’s simply nothing left. I don’t want you to feel bad about that. I just want you to see- to hear, because she can’t physically tell you- that she’s giving you everything she’s got. All her laughs, all her balance, all her energy. She’s using it. She’s not holding anything back. She’s not saving it for later. School is the highlight and majority of her life right now, and I want all of her best THERE. It will get better at home. As the schedule sets in, as the routine surfaces, as the dust literally settles, her little body will get stronger. Let me give you some hints for our Rylie Girl. She loves a job. Give her a job any job, and she’s money. She’s serving, she’s productive, she’s busy, and she’s happy. She thrives on being needed, being helpful. You want to re-focus her? Give her a job. You want to motivate her? Give her a job. You want to calm her down? Give her a job. She gets hungry. Her body is burning calories just staying upright. Like, ACTUALLY staying upright. Her vestibular system is in overdrive 24-hours a day. Balancing emotions, academics, and friendships is all extra. She may need an extra Clif bar or banana here and there (and there and there) to keep her body working for her instead of against her. The girl is always telling a story. In the absence of words, she uses her body to show love, joy, frustration, excitement, boredom, hunger, and humor AND she does it within 2 inches of the person next to her. This makes her hands sometimes deadly but always telling. I know (OH MY WORD I KNOW) this can be a difficult thing to navigate, especially when you have other hearts to consider. I know. Remind yourself and others (and me, please) that she’s doing the best she can with what she has at the moment. When she’s shown more, she’ll learn more. When she learns more, she’ll give more. She dresses herself. I take no credit or blame. Rylie loves to write. Take notes. Make lists. Copy signs. She saves paper, scraps, paper scraps, and anything that might be able to be paper or a scrap later in life. Writing and paper and pencils are freedom for her. Sometimes, in spite of 12 hours of sleep, a full breakfast, and everything else right in the world… it will just be a bad day. 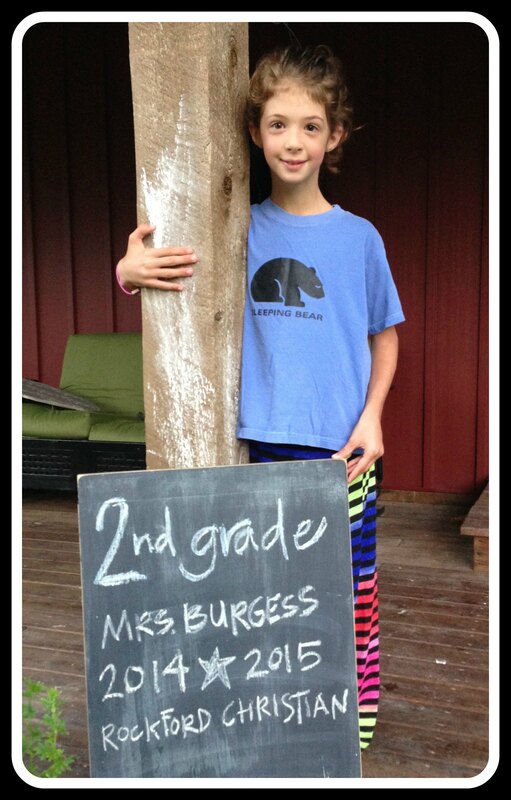 Fierce hugs, a new pencil, and a lot of grace are the ticket here. Also, maybe a dance party. That girl can dance. She will learn math and reading, Bible and science in your class. She will also learn how to ask questions, to say ‘I’ instead of ‘me,’ and to let others go first. She will practice manners and grace, music and conflict resolution. She will navigate being the favorite and being left out. Ultimately, these life skills and experiences are more valuable to me than any test score or IEP goal. Teach her to love and be loved. The rest is bonus. I know that it will be both a joy and a challenge to teach Rylie this year. You will say that’s true of every student, but I know. She trusts you. She believes you. She covets your wardrobe. I am so glad we’re on the same team. You are a FORCE, and you were made for this. In August, you started here: You were five. You had long, plaited hair and two missing front teeth. You rode a yellow bus every morning at 7:10am and you packed a lunch. You got milk every day at snack time and you played at recess with Mrs. Jen (your aide) close by. In June, you finished here: You are six. You have short, chin-length hair and two missing eye teeth. You tried hot-lunch for half the week and home-lunch the other half, and that was lovely. You still rode the little yellow bus at 7:10am- Daddy took you nearly every time to the bus stop 4 minutes from home. You no longer needed Mrs. Jen to accompany you to recess. You can count to 10. You can spell your first name. You can write any letter in the alphabet on command, upper and lower case. You met all of your Occupational Therapy goals and about 90% of your Speech goals this year. Girl, you are on FIRE. You loved school, you loved working, you loved being with friends every day. Your body is showing us that it likes to work work hard and that you can DO this school thing. It will be a lot of work, but your school is behind you 100 percent. We paid for that hard work and progress with a lot of tears at home. Your body was so exhausted every day after putting in 6 and 8 hours of work. It was so hard to see you fall apart, to watch you sink… but to hear you talk now, Child. It is glorious. You can repeat so. many. things. now, Ry. You can SAY so many new things spontaneously. It’s remarkable. Your body is starting to work together, slowly but surely. It’s a roller coaster of a ride, this whole thing. We’re trying some medicine. This was a hard, hard, hard decision for us… one we just came to about 2 weeks ago. We’ve always treated your apraxia through therapy… and while it was suggested when you were only 4 to try some medication in addition to therapy, we opted to wait. Everything was so new then, and we wanted to tackle one thing at a time. Now that school will be full-time and extended FOCUS is so important, we’re working with a doctor who’s helping us monitor you using a small dose of a non-stimulant that will hopefully increase executive function (focus) and decrease anxiety. I tell you this only so you know it’s only one piece in a large puzzle of options and ideas for you: riding therapy and speech therapy and medicine and down-time and lots of sleep and multi-vitamins and Oreo cookies. We’re figuring it our, Ry, one step at time. You are a champion of effort with a killer smile and a dedicated helper. No one, not even your father, can match your work ethic… and that is really saying something. Ry, we are all so proud of you. Proud of your first year in school, proud of how you finished stronger and better than when you started, proud of the joy you take in learning. May it ever be so. Have a great summer, Kid. Thursday night, I stood before 180 friends, family, and complete strangers and told Rylie’s story at the GRCS Circle of Friends dessert reception. 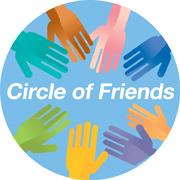 Circle of Friends raises money for the Educational Support Services fund, which supplies staff and resources for all our special-needs kiddos in the Grand Rapids Christian Schools family. It was my first speech in 15 years. I wore my fun dress and my fancy boots. It was an incredible opportunity to thank people who have changed our family for the better in the midst of great uncertainty, and it was a time to thank God for revealing Himself through my child. Certainly one of the better nights of my life, where everything seemed to work and, hopefully, for His glory. What follows is the video and a full transcript of my speech that night; while I hate to see or hear myself on camera, I do believe it is worth it to celebrate the people that have surrounded us on this journey. the body of Christ is incomplete without you. Our family has a lot of special needs. Curt, I know you’re nervous. Neither one of us is ever sure what’s going to come out of my mouth, but I promise you that I went over most of this and I think we’re good. Before I start I just want to say that Carolyn asked for me to simply tell our story… and I’m happy to do that. I just need to clarify that while Curt and I are in this together, this is MY version of the story. My emotions, my memory, my processing. And it should in no way seem to reflect the extremely logical, spiritually balanced, and emotionally stable opinions of my husband. He is infinitely better with details and an absolute master of his emotions. I am neither. We are so very different… but we do make incredible children. The youngest is Abby- she’s 16 months. She’s been teething for about 12 of those months and she grew her molars first. That kid can hold her own. She has to. Her older brother is Gideon. He is three. He is fast. And, he is usually naked. And, that’s really all I can say about him in public. I would love to trade stories with some of you when we are finished here. Maybe you can tell me what I’m doing wrong. Our oldest is Rylie Joy. 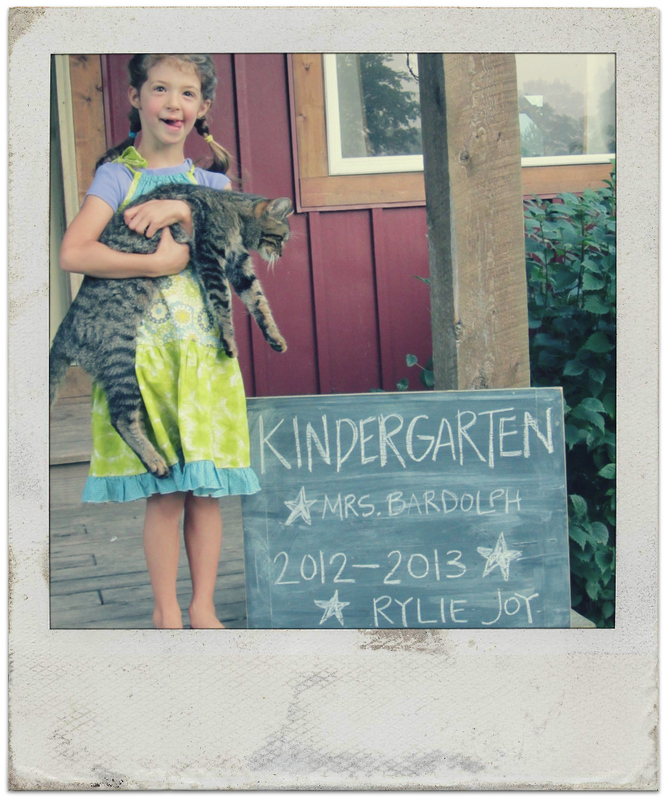 Rylie is 6 and a kindergartener at Rockford Christian. Rylie was born ten days late, and- other than us having to go in and physically take her out- my pregnancy and her infancy was lovely and perfect and unremarkable in the best way. She slept, she smiled, she sat, she crawled… and all at the right times. She was not walking on her own at her 18-month check up, though, and so our doctor thought we should have things checked out… just to be safe. Two months later, Early On of Michigan came to our house and tested Ry’s gross motor, fine motor, and speech abilities. All three major areas. And, at 20-months, she failed every test. And we were shocked, really, because she was FINE. She looked FINE. I didn’t understand how things could be so wrong so early. We plugged in immediately to special services through Ionia Schools. In fact, 2 of those therapists are here tonight because- as often happens when you spend hours upon weeks upon years working with someone- they become family. Rylie’s progress to-date is in no small part a reality because people like Dana and Becky taught our family how to be a family with a child with special-needs. Your work is holy, and it is largely under-appreciated. Thank you and we love you. Rylie has apraxia, which we’re all familiar with because it’s what adults have after a stroke. They have to re-learn daily skills and speech. But in children, there is often no known cause- no stroke, no trauma- and they don’t have the benefit of RE-learning skills. Their bodies have no muscle memory of performing these functions before, and so our children are literally and physically learning to hold a fork. Learning to sit without falling over. Learning to make an ‘s’ sound. Rylie is still learning to talk. She has never had any trouble getting a point across though. She is a storyteller and emotional communicator… like her mother. But words and language are easy for me. It’s what I do. My daughter has the same desire for communication, but she must fight to physically be heard. It has been said that the pure joy that will come from a rescue and a ransom of a child’s life is probably the most satisfying thing you can imagine (Mike Dennehy). Which is beautiful and lovely and true and hard and possible… particularly if you are God and your son is Christ and your goal is to save the world. It is an entirely different story when we are talking about our own children… when you are talking about my child. I think we parents of special-needs kids… we know what it is to ransom our children. Surely every child is the Lord’s, but we face that Truth a bit quicker than most parents. And it became clear to me the moment I found myself in a room with 12 other people, each assigned to a different part of Rylie’s education and well-being… doctors and therapists and coordinators and liaisons and aides and principals and teachers… I realized that I could not be all of those 12 people. For her to have any chance at the best God had in store for her, I would have to ransom her. I would have to give her up. There’s a lot of talk about needing a village to raise a child. It inspires pictures of tight community, shared burdens, and corporate worship. We love it because it’s beautiful to enter into parenthood with other families and walk the road together. But, community is hard because it involves real people with real flaws… and most of us only use that village when it is convenient or for short times of great need. As parents of special-needs kids, a village is not an idea or luxury. It is a necessity. A terrifying necessity for me, a mom who is an ugly crier and the last in line to ask for help. Y’all, I am terrible at community. I’m an introvert who makes incredibly awkward first impressions and sometimes even worse second-impressions. Enter God, who would ask me to rescue and ransom my child… and make me do it by entering into and trusting life with other people. Apparently, God would be using Ry’s disability to work on me a little bit. A year ago, we began the search for kindergartens. Now, our family lives in this strange no-man’s land of an address. We pay Kent County taxes. We are districted for Ionia Schools. We go to church in Rockford. I shop at the Greenville Meijer. I go to the Belding library and Lowell’s Goodwill. So, when it came time to look for schools for Rylie Joy, we found ourselves within 15 miles of 4 school districts and 6 potential schools- and that was being picky. We emailed and phoned all of them… shopping, really, for information on how each school used their special-education money and resources. One- and only one- school called us back and asked if we would come in for a meeting. We met the kindergarten teacher, the special services coordinator, and the principal at Rockford Christian early one morning before, I believe, even God was fully awake. We talked for more than an hour about everything from curriculum to the Tigers to what makes Rylie laugh. Now, I have since learned that Eric Burgess cries a lot. Bless your heart, Friend. It is my favorite thing about you, followed closely by our mutual good taste in sports and music. While Rylie’s story and God’s potential in her IS beautiful, I know that Eric feels this way about ALL his students and staff. My child is not more special than any other kid that walks through his doors. She is the SAME... and after years of being different, it is no small joy to be the SAME in someone’s eyes. It was an incredible moment for me. A decisive moment. I knew in an instant that Ry would be safe here, that she would be loved here, and that she would be challenged here. And I knew that I had to give her up. This would be my price. My ransom. My sacrifice. I would give her up. Education was going to be far more expensive than I ever imagined… not in terms of discipline and money and budgeting, but in heart. My COST? My cost is in trusting and loving the village to help me raise this child… to give her every opportunity to be the person God intends her to be. I pay every day- in the giving up and the giving over. Rylie has thrived at Rockford Christian. I could tell it was a good fit immediately- mainly because she was coming home with WAY better hair than when she left in the morning. I mean, what magic is this? My child who does not allow a brush to touch her head is coming home with double braids, buns, high ponytails. I don’t know who you hair-fairies are, but God bless you. Rylie receives state-funded speech and occupational therapy through the Rockford Public Schools 4 times a week. They come to school and Ry has one-on-one sessions with her therapists. Rockford Christian then takes those goals and exercises and expands them to fit into every minute of Rylie’s day. With Karen VanStright at the lead, there are 10 staff- funded by the Educational Support Services Fund- at Rockford Christian that work with over 40 children like Rylie who need extra help. TEN extra STAFF passionate about kids like my kid. Ten staff who are constantly looking for ways to make education accessible at every angle, for every kid. Staff who join us at doctor’s appointments to get information first-hand, staff who look up alternative therapies, staff who hang Rylie’s pictures on their walls. Those staff are the hands and feet of the Shepherd. They seek out those that would otherwise be easily lost. Those that are harder to teach. Those that are difficult to understand. Those that have emotional and over-involved parents. You are the staff who offer my child an education in a safe, exciting, and loving environment. Teaching my child that she is not only WELCOME, but EXPECTED. Our children are welcome everywhere these days. Kids with special-needs can be found in every Meijer aisle, McDonald’s play land, and Sunday school class… we are welcome everywhere. Of course. But to be EXPECTED… well, that is something entirely different, isn’t it? “Of course she can come. It’s not too hard. We’re excited.” That’s what they said that morning… about my kid. Which was, in a word, liberating. As a parent, I had been feeling the exact opposite of that sentiment for months… losing ground and sanity at an alarming rate. But you were ready. If I was willing, you were ready. Rylie loves school. She loves it. She generally leaves the house in tears (we talked about the hairbrush thing, right?) but walks through the doors with a smile. She goes to gym and music and recess… just like everyone else. 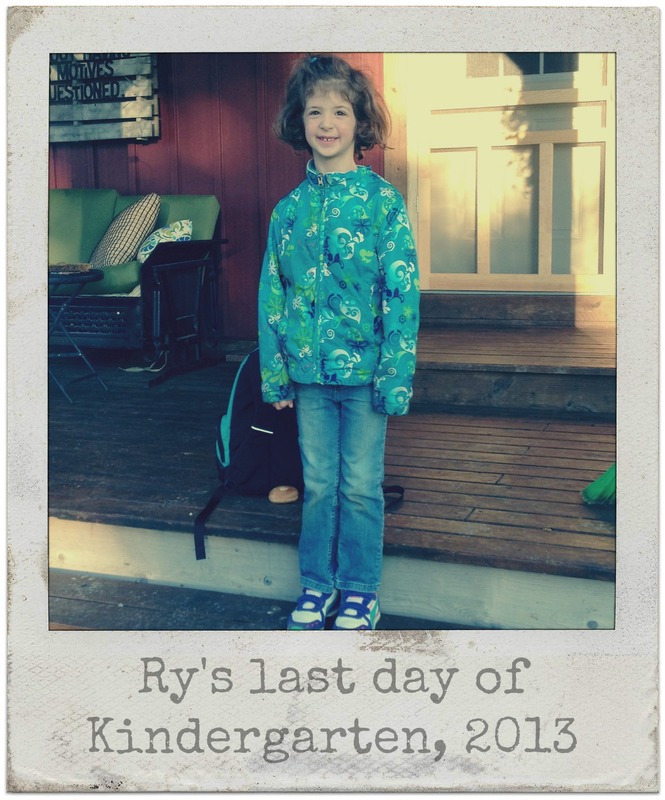 The extra staffing at school allows Ry to spend the majority of her time in the classroom with her peers instead of in a more secluded resource room. With the help of Karen’s staff, Rylie’s school day looks remarkably similar to her other classmates, despite a wide gap in communication and, *ahem* attention issues. She has to communicate with her friends, she has to sit through circle time, sometimes she even has to go to the principal’s office… just like everyone else. But she has breaks. She has an aide. She has extra tools to help even the playing field. You made the school… fit her. I just, well… I didn’t even know that was possible. 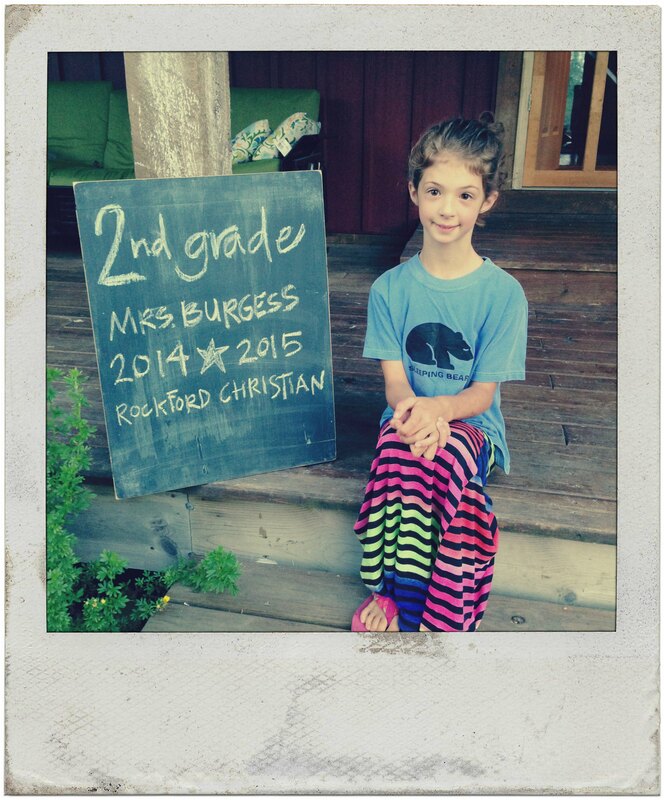 The Educational Support Services fund helps over 400 students in our Grand Rapid Christian schools. That’s 400 kids with families that want nothing more than for their child to be loved and challenged and an active part of the body of Christ. Supporting the fund does so much more than simply add staff or resources to our schools- it ministers to the family standing behind that child. It tells a family that the body of Christ is incomplete without them. Imagine. Being flawed, but being needed. It is a universal desire. The Gospel of John, chapter 9, tells the story of a blind man. And everyone wanted know why he was blind. Who’s fault… his parents or his own? Jesus told them that the answer was neither. He was blind so that the works of God could be revealed in him. No family wishes for special-needs. Life is fraught enough without the added troubles of exceptional emotional and developmental and physical delays. Therapy and IEPs and medications and specialists and waiting rooms. There is a desperately ugly, lonely side to special-needs. But great struggle often allows for great perspective. Without Rylie, I would not understand that a savior can come in the gift of a child, that community is not always painful, that surrender can be satisfying. Were it not for my child, I would not know the joy of hard-earned progress, that most strangers can be trusted, and that a smile speaks every language. I would forget that my God knows the pain of seeing his child suffer, and that Christ fought to be heard his entire life. Were it not for my child, so much more of God would be a mystery. But He has been revealed in her. And, He will continue to do this until Christ returns. She is flawed, but needed. I have given you my greatest gift, my child, and you have treated her with dignity and love and grace. To you who show your support in time, in funding, and in praying for the ESS… thank you. You are changing families by equipping our schools to minister to all shapes and shades of God’s children. For all the kids receiving love and therapy and education because of your generosity, I say thank you. And thank you for having me tonight.